In a coordinated efforts of Zionists, we have witnessed the trend of attempts to blaspheme Islam and smudge the image of the Muslims in the global community. That on September 11, pastor Terry Jones had brought blasphemous film the ‘Innocence of Muslims’ to the attention of world where he had a live stream on the internet in which he had tried to blaspheme the Person of the Holy Prophet of Islam and hurt the sentiments of all the religious communities including Muslims and believers of all faiths and religions in any part of the world. 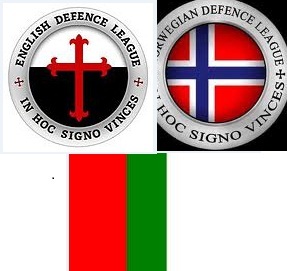 Anti-Islam film is the biggest terrorism in the world and all religious communities stand firm and united on this fact. Therefore protesters consisting of children, youngsters and even weak people of old age who supposedly were not able to join the rally of hundreds of thousands of people coming from all streets, all localities and all societies of every city of Pakistan joined the rally, just like in any other part of Muslim world, gathered into their cities marching towards a commonplace for a peaceful protest against the evil forces who work hand in hand to spread hatred and stoke violence with their main agenda to foster enmity against the Muslim community in the whole world. These protesters were out to show the world that we love Our Prophet Hazrat Muhammad (PBUH) and wanted to deliver the message to the world that we are peaceful nation and we demanded that these evil forces should be hanged till death. In fact, there are influential parties in Karachi which are actively engaged in propagating the seeds of antagonism against Pakistan and Islam. The terrorist party Mutahada Qaumi Movement (MQM) has over the recent year killed 7000 thousand people just in Karachi. The leaders of MQM naturally spare no efforts in their hate-mongering campaign, sullying the name of Pakistan and Islam and inviting their members to crusade against the Muslims of the state. The MQM group has been facing with a deluge of criticism from all over Pakistan and received over thousands of complaints with the businessmen in Karachi who deny to pay extortion money required by the party but there is no one in the country including the treacherous and corrupt government to stop their terrorist activities. The leader of the group Altaf Hussain who still barks from UK over the phone to address the people gathered on gun point who sit and listen to his nonsense and praise him, his group and vote them for the sake of their lives. It merits mentioning here that in protests the organizations like black-water sent their agents with black mask on their faces who burnt the petrol pumps, looted banks, fired vehicles and killed 23 members of peaceful rallies. In the meantime, Pakistani mainstream media tried to deceive public opinion with the help of paid analysts and anchor persons who interpreted the protests as riots. Similar role was played by western media because disturbing the sentiments of over 1 billion Muslims across the world does not fit in the definition of freedom of speech. In fact, it is an affront not only to all the Muslims but also to believers of all faiths and religions. At first you were not ready to even listen to us and now you have arrested pastor Terry Jones. Listen! these protests are not going to end until the death of pastor. You have started this we will end this InshAllah! sun lo americio hum tumhari moot hain!!! Do not stop protests until these Americans and United Nation (UN) don't impose the law of Tahafuz e Namoos e Risalat (PBUH) on international level! Create awareness in every locality and society around you. Keep spreading the word. Allah is with us, we will win InshAllah. YA RASOOL ALLAH (PBUH) we are shameful that Your enemies are still alive. In line with Wateen's vision of serving and enabling the world around us, the latest op-ed of its CEO, Naeem Zamindar, has been published in major magazines and telecom blogs. 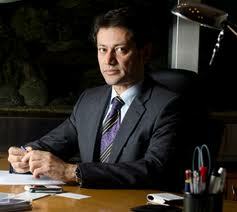 The op-ed is about resolving the electricity crisis in Pakistan through WiMAX enabled Smart Grids. Adopting such steps will not only ensure resolution of the electricity shortfalls and related issues but will also be a natural evolution of WiMAX networks in order to achieve ubiquitous coverage in areas where they are deployed. You can view the article on ProPakistani in detail by clicking here. Feel free to share this via email, social media sites and blogs and create awareness of the thought-leadership of Wateen in raising and providing technology solutions for issues that impact us on a daily basis. We hope that raising awareness on these issues will enable Pakistan to progress to prosperity. ZONG mobile topup is now available On UBL Netbanking. Good News For UBL Netbanking users! UBL Netbanking has added ZONG to its Mobile Top Up menu. Zong Mobile Top Up facility is available for both Prepaid and Postpaid numbers. With this new addition, the Top Up Menu now includes UFONE, WARID and ZONG. We have confirmed from UBL resources that starting from 1st October 2012, ZONG prepaid vouchers will be discontinued on UBL Netbanking. Make sure you log on to UBL Netbanking and add your ZONG numbers to your Mobile Top Up List. 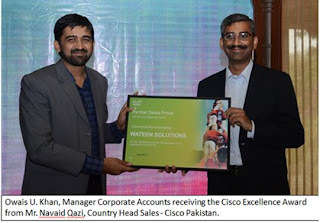 Wateen has announced that in continuation of its efforts to achieve excellence and moving towards its goal of becoming its customers’ digital life partner, Wateen Telecom has been recognized with Cisco Customer Satisfaction Excellence Award for the second time for its exceptional service levels given to the customers during the last two quarters. Customer Satisfaction Excellence is the highest distinction a partner can achieve within the Cisco Channel Partner Program. Channel Customer Satisfaction Excellence assessment is based upon the results of customer satisfaction surveys conducted by Cisco. Each quarter, Cisco acknowledges Certified Partners that have the highest customer satisfaction distinction within each geographic region. In the recent survey conducted on 29th June, 2012, Wateen was recognized with this Excellence Award because of its exceptional services levels it offers to its customers. Customers regarded Wateen as a reliable and trusted services partner and conceded that Wateen possess best trained team in the local industry. This achievement confirms Wateen's focus on customer centricity and keeping them as the central idea of Wateen's thought process while dealing with all environmental and economic challenges. As a Cisco Gold Partner, Wateen is committed to the success of its customers and value its relationship with Cisco in continuing to deliver the highest quality solutions, products, and services. I recently came to know about a channel launched in Pakistan couple of months ago named URDU1 aiming to air foreign programmes after dubbing them in Urdu. Regretfully I have also seen a lot of families got involved into watching this filthy channel very interestingly just like they were indulged in watching Indian Channels for an example StarPlus which seemed to be the curse of that time. Even after so many complaints to PEMRA and registrations of Petitions in supreme high court against this channel but no proper action has been taken to stop airing those filthy programmes. Previously we were of the view that all Indian channels and Indian contents shown in Pakistan must not be allowed as those promote Indian culture and traditions and Language which is ruining Pakistani culture, traditions and our Urdu Language, if any such programme, drama or movie is broadcasted in Pakistan, it must go through proper censorship and its content must be suitable for family viewing. But as of now the problem has become even worst because URDU1 is showing all those Western cultures, on the generic name of love stories it is showing all possible obscene characters which I am sure are not suitable to be watched in Islamic families. The court should force PEMRA to not only categorize programmes with proper ratings as are done in the West so that people should know what they are watching, but also ban such channels which are attempting to ruin the Muslim societies. How can a Muslim family afford to view such a programme in which characters are dressed according to Western culture. All viewers of this channel are requested to realize that this is on going war against Muslims in which zionists are targetting to hit us socially and psychologically. Our media is already playing a big role against us to hit us mentally to make us discard all the real values of Islam. The bad news is we are into it and we are helping our enemies to promote their filthy campaigns against us. The good news is we can still control it as we have seen it coming and we should hit them back financially. Listen carefully! If YOU Muslims can stop only watching this channel, this will damage them big time. Ever since these blockades of websites have been happening in our country I was very keen to find out the process of elimination of Twitter, Facebook and now YouTube. Finally just got the required information which is really interesting, I hope you like it as well. (Pakistan Telecommunication Authority) to block the entire YouTube website. Immediately after that email was sent to the NOC’s (Network Operation Centers) of all ISP’s (including PTCL, TW, LINKdotNET, Nayatel, Wateen, MultiNet, LDIPK, Zong, Worldcall, NTC, Qubee, CyberNet) in Pakistan. After confirmation and seeing the orders of Deputy Director PTA, the core teams of all ISP’s took action and blocked the culprit website. You are requested to block complete "YouTube" website immediately (without delay) from viewership in Pakistan from all possible routes. The website will remain blocked till further orders. Please submit compliance through return email before 2100 hours today i.e. 17th September 2012.